Graphical information can now be saved in a filter. 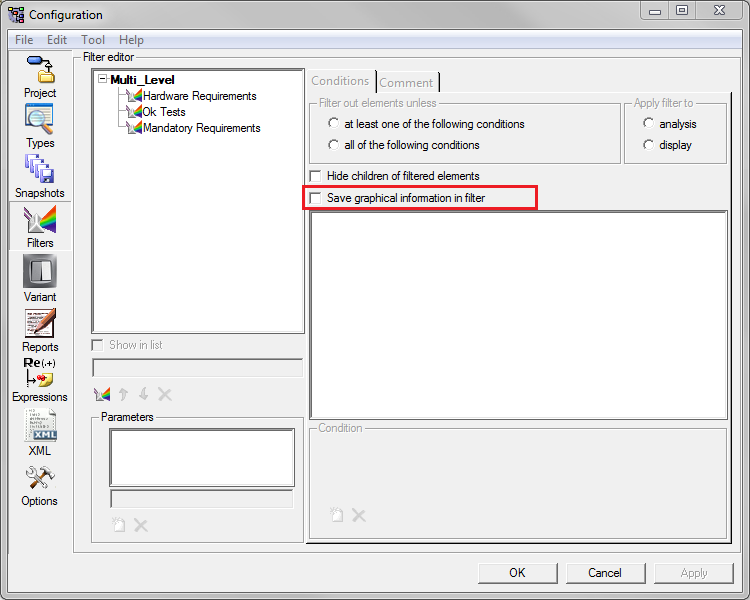 Information such as column widths, sort criteria and sort order in Requirement Detail view or document position and size in the Graphical View. Searching within Reqtify has been improved by allowing the search scope to be specified. New interfaces have been added for the TestLink tool and Modelica code files. Reqtify now supports ENOVIA Requirements Central V6R2013X. A number of improvements have been made to the ENOVIA Requirements Central interface. Multi-value attributes can now be exported to Requirement Central. Attributes can be exported depending on their type definition and a Policy can be selected for each type exported. 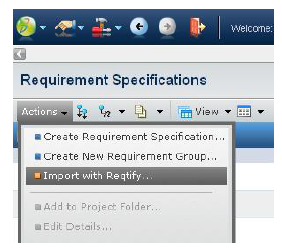 Also, it is now possible to import from Requirement Central without directly using the Reqtify GUI. DOORS 9.4 is now support. When exporting to DOORS external links are now transferred. Reqtify 2012-2a now supports TortoiseSVN 1.7. The ReqIF interface supports rich text with tables. The latest Bugzilla interface supports profile connections.